A year and a half ago, I caved and finally got myself a high end blender (a Blendtec) and since then, I have been blending up a storm (599 storms, actually, according to the handy counter on the front of the blender). Obviously it's great for soups and sauces but I really really love what it does for smoothies. I'm really picky on my smoothie texture (NO CHUNKS. EVER.) so I found that a high powered blender was necessary to get the results I wanted. 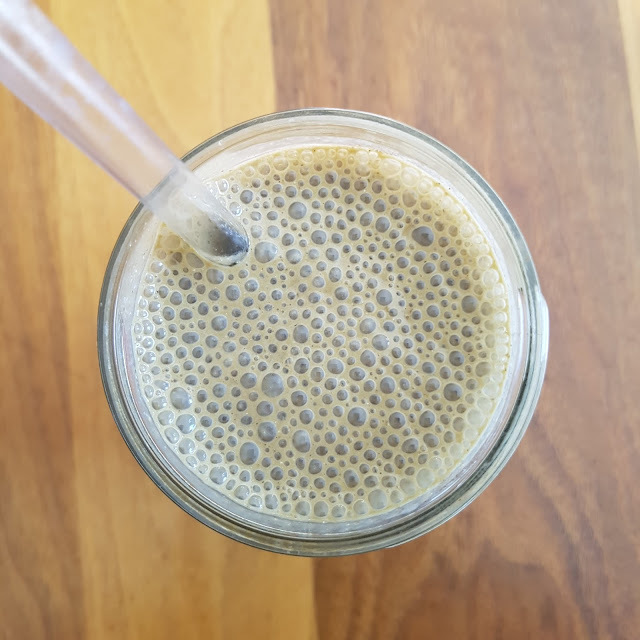 I've perfected a number of smoothie recipes in the last 18 months or so, and I wanted to share one of my favourites with you today. 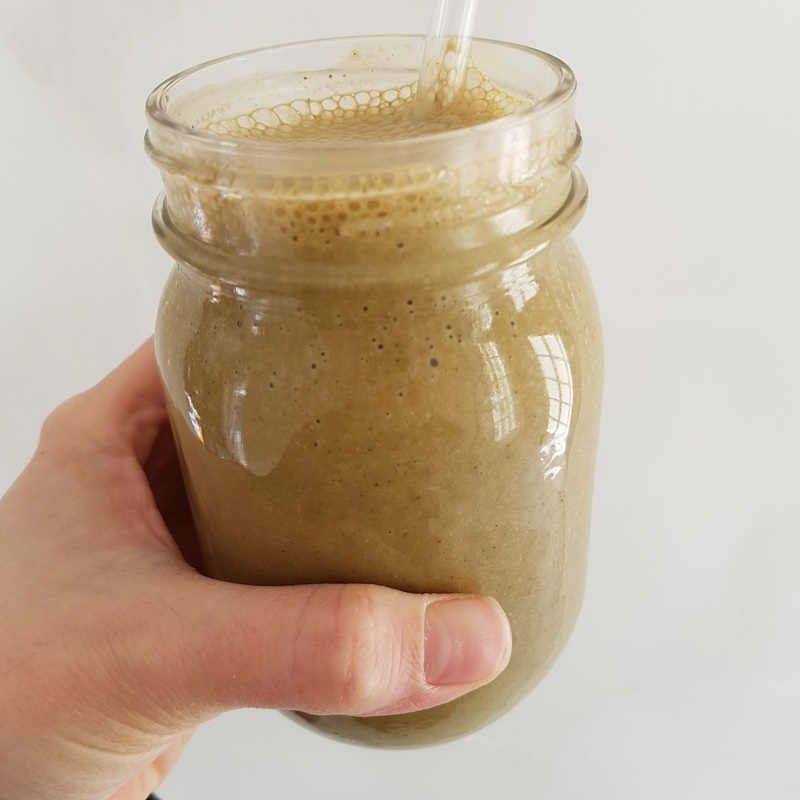 Another of my favourites is the Oh She Glows green monster - I don't even like bananas, and this smoothie recipe is great. 1. Above all, be full of healthy, wholesome ingredients. No added sugar. No juice. 2. Be filling - I like to make sure my smoothies weigh in at 250-300 calories, so there's enough energy in there to get me to lunch time. 3. 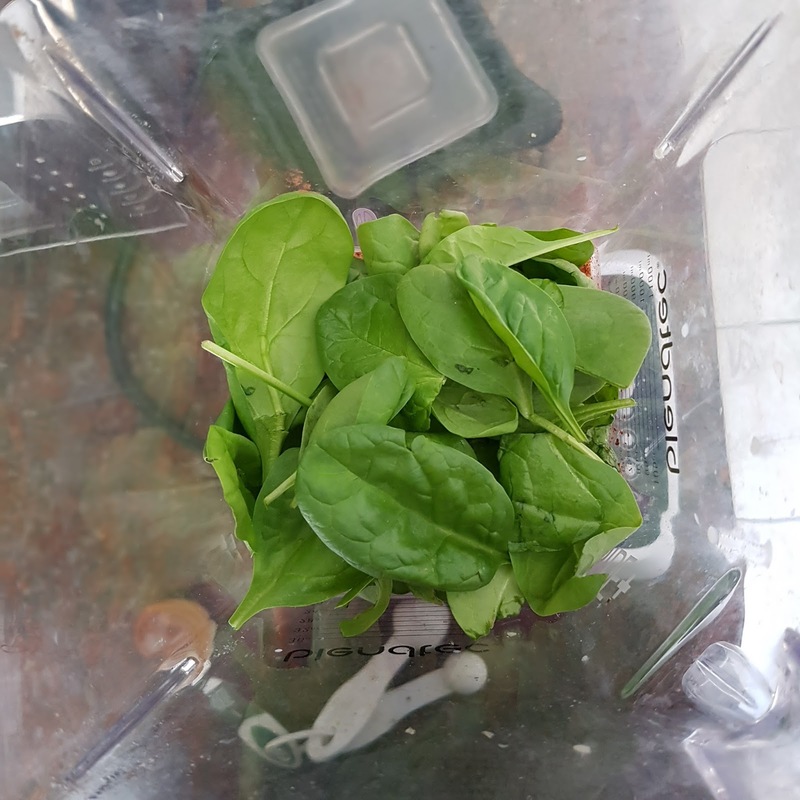 Have a solid amount of fibre and protein - I do this through adding various seeds. Generally, my protein intake is fine, so I don't add protein powders. I find that between the fruit and the seeds, most of my smoothies have at least 10g of fibre, which is awesome. 4. Relatively low in sugar (I like to keep them at less than 20 grams of sugar if I can, including that from fruit). My smoothies are not a dessert-type smoothie. This is pure, tasty nutrition. Some of them are hits with the kids and some are not. The recipe below is one that's been a hit with pretty much everyone who has tried it. If you haven't made this type of smoothie before, you'll likely have to scramble for some of the ingredients (powdered peanut butter, hemp hearts and chia seeds), but the good news is that if you decide to get into regular-ish smoothie making, the ingredients will serve you well and last quite a long time. I like hemp hearts and chia seeds because they have some great nutrition, but also they are a bit softer than alternatives (like flax seeds or psyllium husks), so they blend into a smoother final product. I can often find them on clearance at Winners or HomeSense. You can easily substitute regular peanut butter for the powdered, but it will substantially change the calorie content, if that's a concern to you (2 T of powdered PB has 50 calories, while 2 T of regular PB has 200 calories). If you're looking to bulk up the caloric content, totally go for regular PB! 1. Place all ingredients except the ice cubes in your blender. 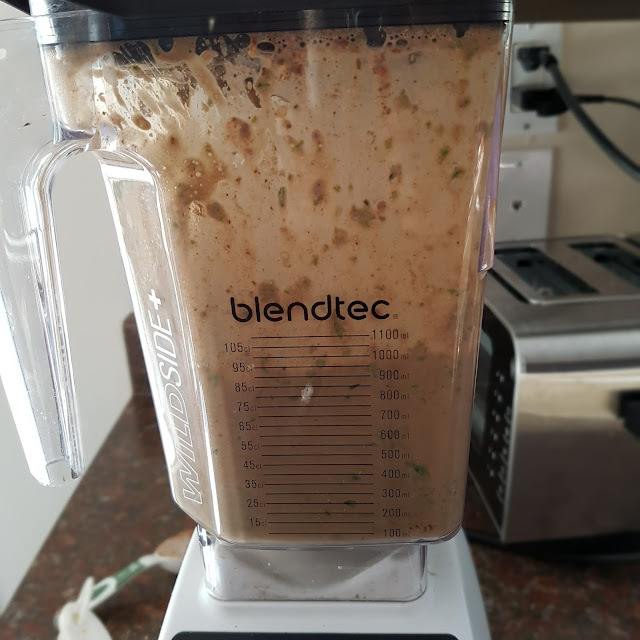 Blend until smooth (on my blendtec, I use the 'smoothie function' and then about 15-20 seconds on high speed. Dates don't blend super easily, so I find they need a bit more time to get smooth. If you're using banana instead, it should blend pretty quickly. It will probably take a minute or so to blend your smoothie. 2. Add ice cubes, and blend again on high speed for 15-20 seconds for a more milkshake-type consistency. 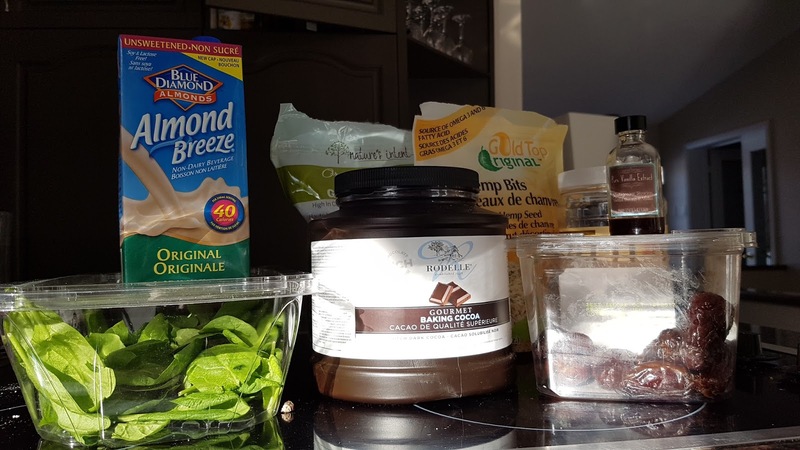 To speed things along in the morning, I'll often pre-measure my dry ingredients into the blender at night (i.e., the hemp, chia, cocoa powder and PB powder). I am not at my best before coffee* so this works well for me. * massive understatement. I cannot handle pre-coffee life.